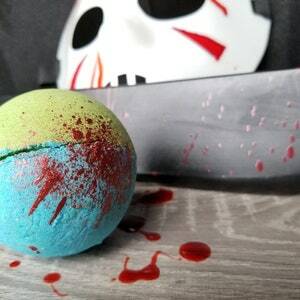 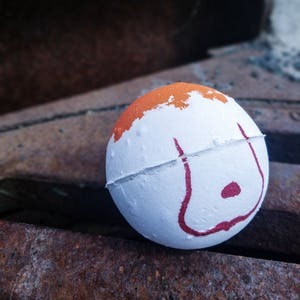 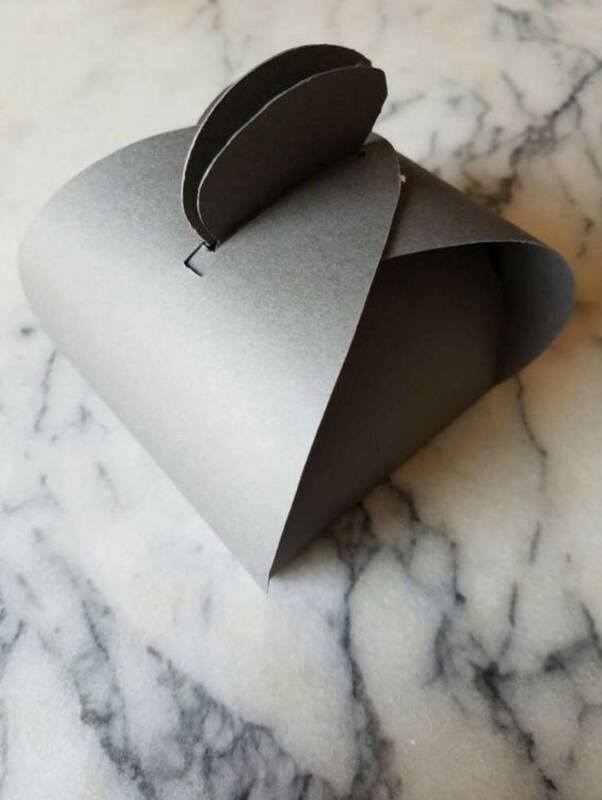 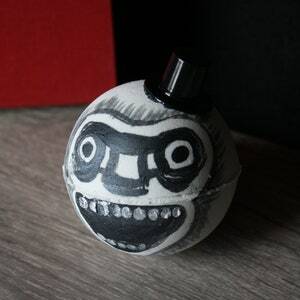 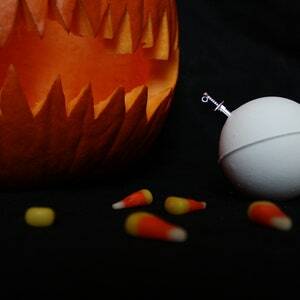 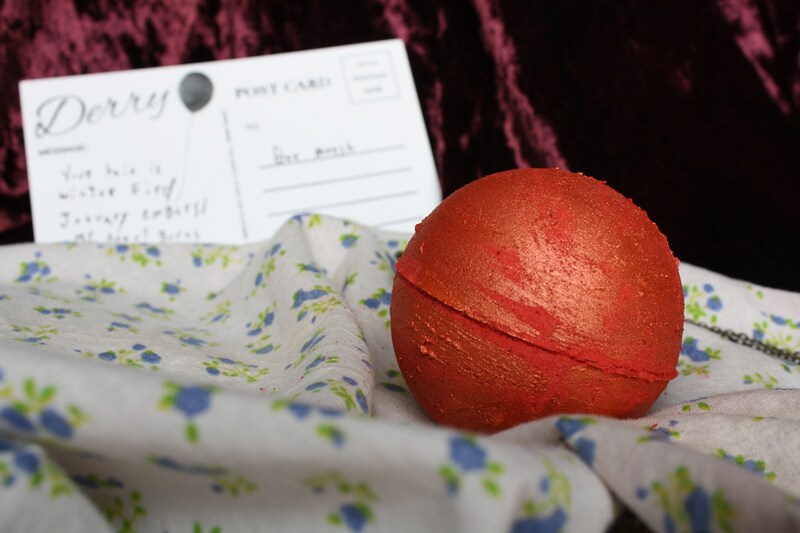 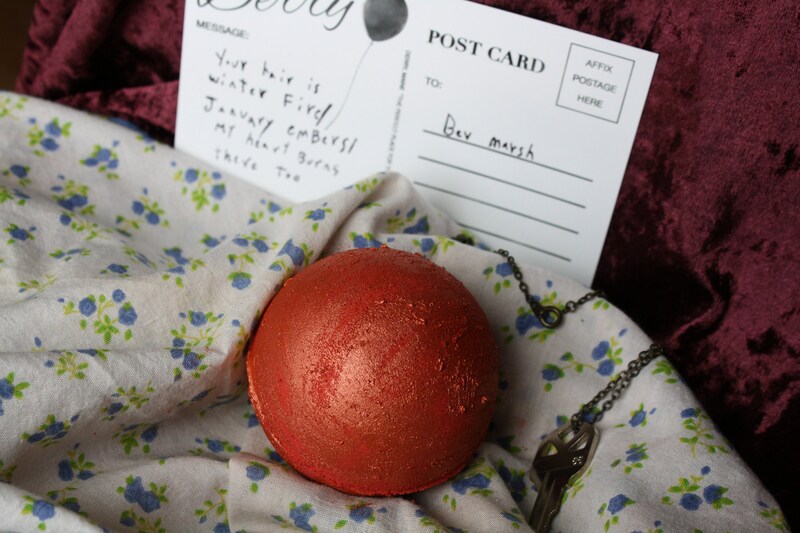 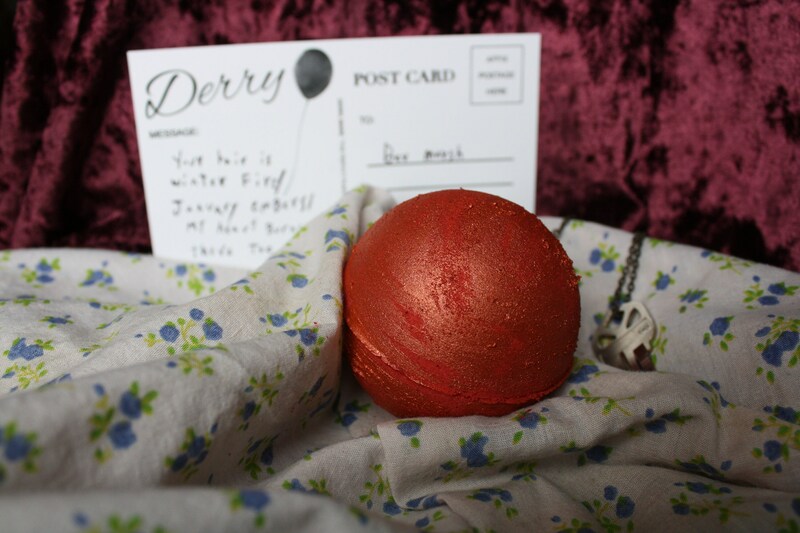 Inspired by the haiku Ben Hanscom writes for Beverly Marsh in Stephen King's It, this bath bomb will warm you up just like a winter fire! 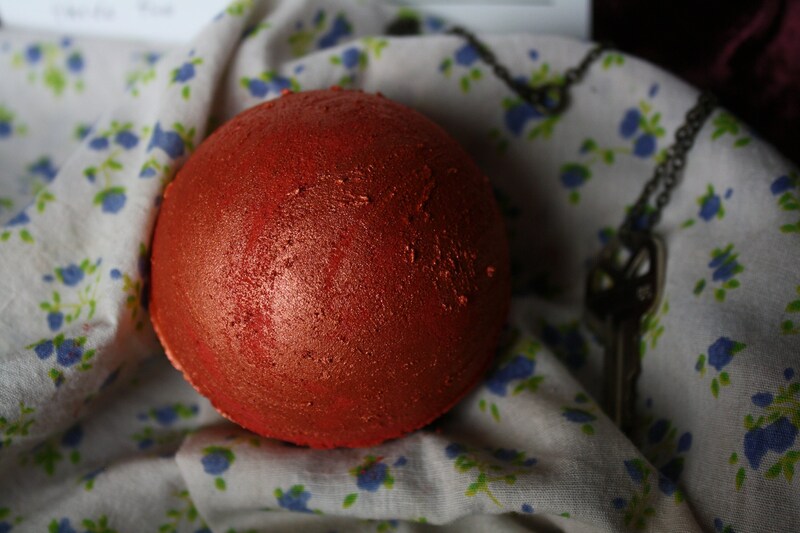 A deep ruby red bath bomb lightly coated in burnt orange mica dissolves in foamy swirls to create a red tub that is reminiscent of Bev's bathroom after Pennywise coats it in bright blood. 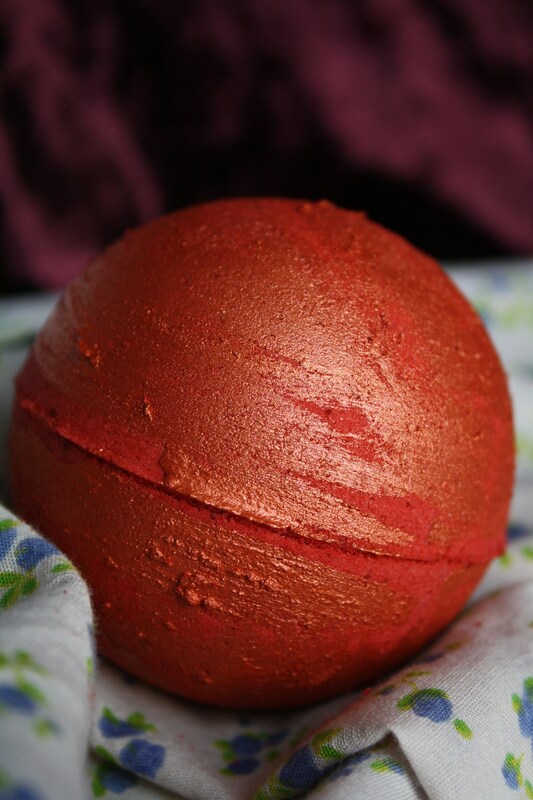 Scented with a blend of fresh cinnamon, ylang ylang, black amber, and vanilla bean to make your heart burn, too.